On July 29, 2005 a friend of mine, Filippo Biondin, an Apnea Academy Instructor, lost his life at sea in unclear circumstances, together with his friend Domenico Pennetta, during an underwater fishing trip offVenice. Following this tragic event, together with a group of friends, I decided to organise a Memorial dedicated to him, and so the “Memorial Day Filippo Biondin” was born on September 2, 2006 in Rovinj, Croatia. The event was attended by many friends and champions, gathering over a hundred people, and it really was an important experience. Filippo’s name had been linked for many years to that land for several reasons. He loved fishing, loved freediving and loved the sea. And there, in Rovinj, he began his first experiences as a training instructor for the several internships and courses that I organised here. Also, he supported me during my competitions since my debut in 2001 until 2005, assisting me in nearly every contest. When I decided to organise the Memorial, I wondered how I could have it done, and what I could do. Together withFilippo’s family, we had the idea to raise money by building something tangible as a lasting memory, hence the ambitious project of commissioning a sculpture, a dolphin: symbol of the sea and of freedom, the dream of every freediver as well as of any child. The work was entrusted to two masters in Rovinj: Andrja Milovan, for the sculpture itself, and Dragutin Valkovic for the stone pedestal. 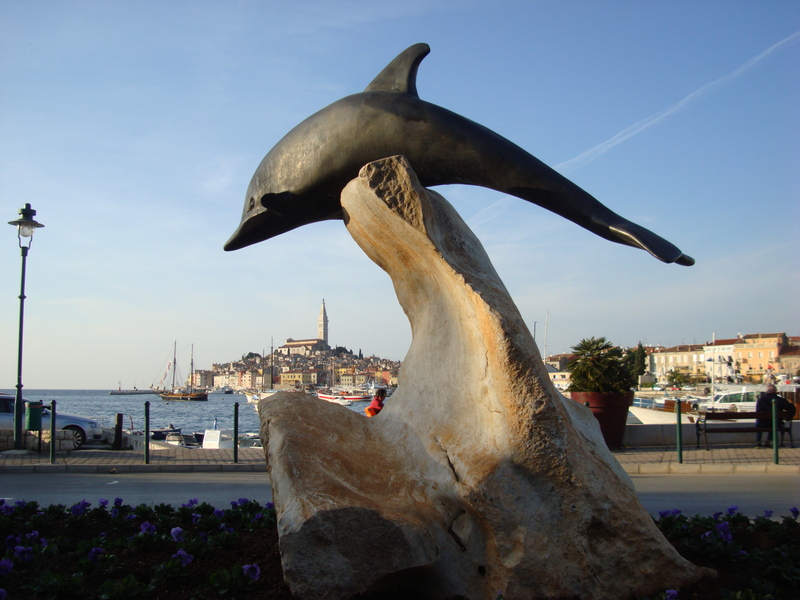 The work is a bronze casting that rests on an Istrian stone, placed in one of the squares in the center of the city of Rovinj, near the sea and in the immediate vicinity of the homonymous pool “Dolphin”. And so, after two years of work, of long bureaucracy, of big efforts and commitments, that have been resolved thanks to my father Antonio, finally the Dolphin was born. Thanks to the Discovery Channel minicrew, Martina Amati, Federica Semiani, Elio Scalamandrè, Riki Milan and Fabio Ferioli, it has been possible to make a DVD that collects the many emotions of that day.